The city of Vologda was founded by Novgorodians on an ancient dike that was located between the rivers Sheksna and Sukhona. The first mention of the city is found in the archives of 1147, therefore this date is considered the year of the founding of Vologda. According to historical data, Vologda is coeval of Moscow. It is one of the oldest northern cities in the country. Until the end of the 14th century the city was in the possession of the Novgorod principality, and later became part of the Grand Duchy of Moscow. Vologda experienced many serious trials and difficult periods. In 1435 it attempted to capture the troops of Prince Vasily Kosoy, and afterwards the captive Prince Vasily II was exiled to Vologda. After the death of Prince Andrew, the city finally went under the administration of the Moscow Principality. During this period the city had a significant strategic importance and was a major trade center. 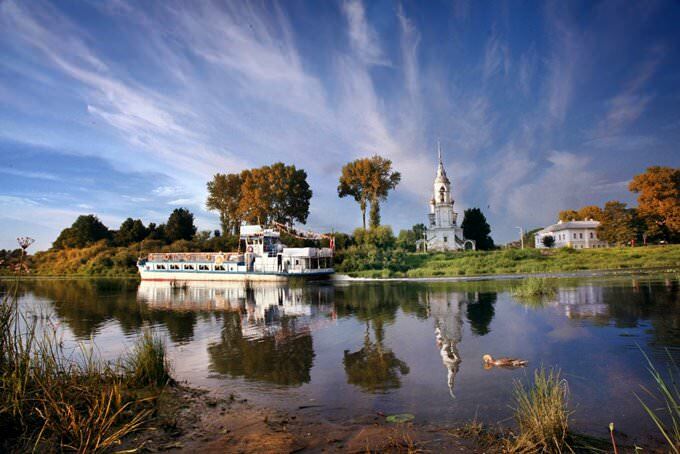 Vologda was the starting point of important waterways, which also contributed to the dynamic development of the city. At the beginning of the 18th century, in Vologda, by the order of Peter I, the construction of benches and barracks was set up for the transfer of construction and military supplies to Arkhangelsk. In 1781, an intensive development of the city's territory began, which was carried out in accordance with the plan developed earlier. Gradually the city became lively and began to expand its borders. From the middle of the 19th century Vologda was the most popular place for links; prisoners took a direct part in the development of the city's industrial sector. In the 1860's and 70's in Vologda, many prominent political figures were serving their sentence, and the city was done with the gloomy past only after the establishment of Soviet power. Now Vologda is a quiet provincial city with a rich historical heritage: beautiful architectural monuments and interesting cultural traditions. In the center of the city, there is Kremlin Square, which main decorative element is the Kremlin of Vologda. The first constructions at its site were built in the period of the reign of Ivan the Terrible. According to the historical traditions, the square had been paved with wood until 1947. In the 16th century, there was a big fortress at its site. In the second half of the 19th century, some of the defense constructions were destroyed. Nowadays, you can see the Archiereysky Yard on the square. 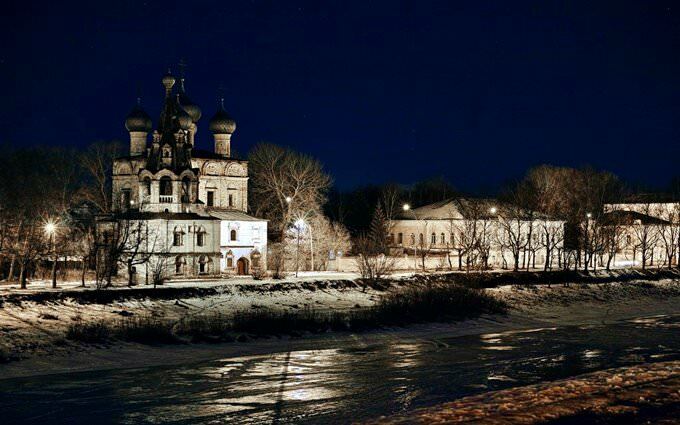 It was built in the 17th century and is usually called the Kremlin of Vologda. Another magnificent building of the period of the reign of Ivan the Terrible is the Cathedral of St. Sophia. It is the oldest stone building in the city. Since its construction, the cathedral has managed to preserve its iconostasis and frescoes created in the 17th century in their original form. The Cathedral of St. Sophia also managed to survive after the Revolution. Now, some part of this large building serves as a museum. The religious monument of the later period is the Host Resurrection Cathedral built in the 18th century. The interior the visitors can see today was designed in the first half of the 19th century. The cathedral is considered as a vivid example of the baroque style. Like many other religious constructions, it was abolished after the Revolution. Masses were resumed here only in 2016. For hundreds of years, Vologda has been notable for lace production. The guests of the city can learn about this important national craft in the themed Lace Museum. Its main collection includes local masters’ works, beautiful national costumes, home textiles, different accessories in national style, and pieces of art. The Lace Museum is one of the largest and most interesting museums in the world. Fans of unusual excursions should definitely visit the museum called the World of Forgotten Things. It occupies the beautiful wooden building that is a vivid example of Russian architecture. Now, the museum houses a lot of different historical exhibits that tell about citizens’ life and culture of the 19th century. Here, you can see antique furniture, interior objects, collections of black-and-white pictures and pieces of art. Here, you can also find the personal belongings of the most famous natives of the city. 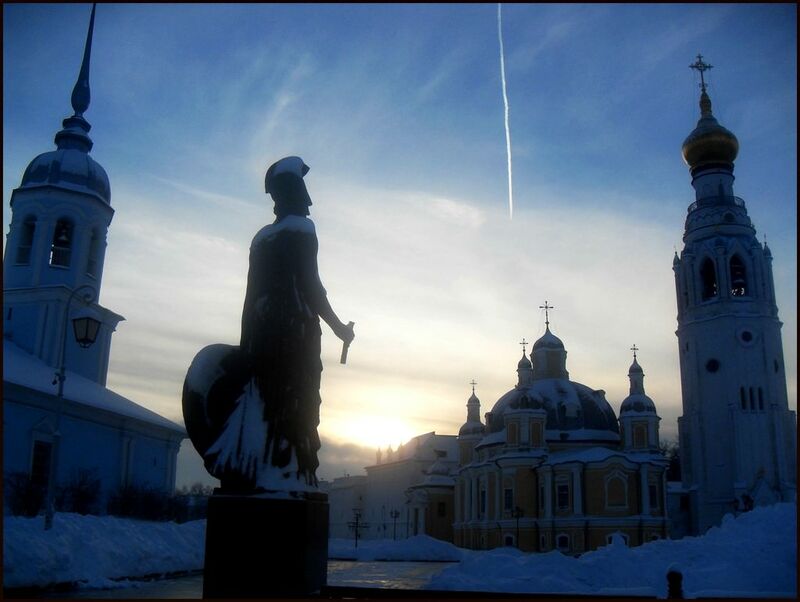 This guide to iconic landmarks and sights of Vologda is protected by the copyright law. You can re-publish this content with mandatory attribution: direct and active hyperlink to www.orangesmile.com. 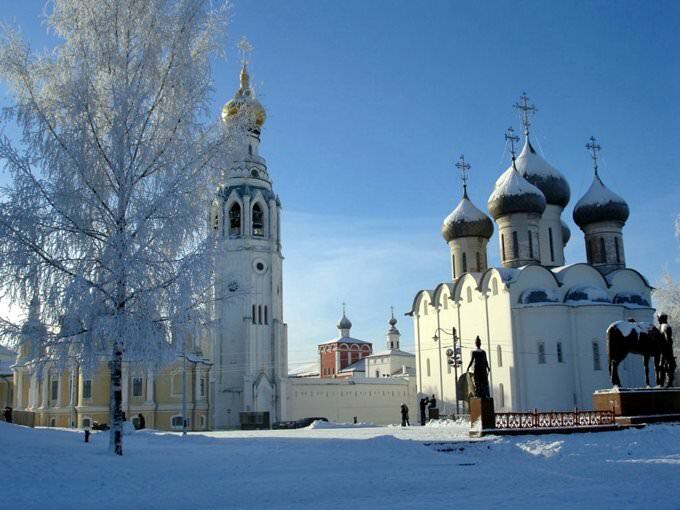 All about Vologda, Russia - sightseeings, attractions, touristic spots, architecture, history, culture and cuisine. Prepare your trip together with OrangeSmile.com - find out the 'must see' things in Vologda, which places to visit, which excursions to take, where the breathtaking views are waiting for you. Planning your trip with this travel guide will help your to get the most out of Vologda in few days.